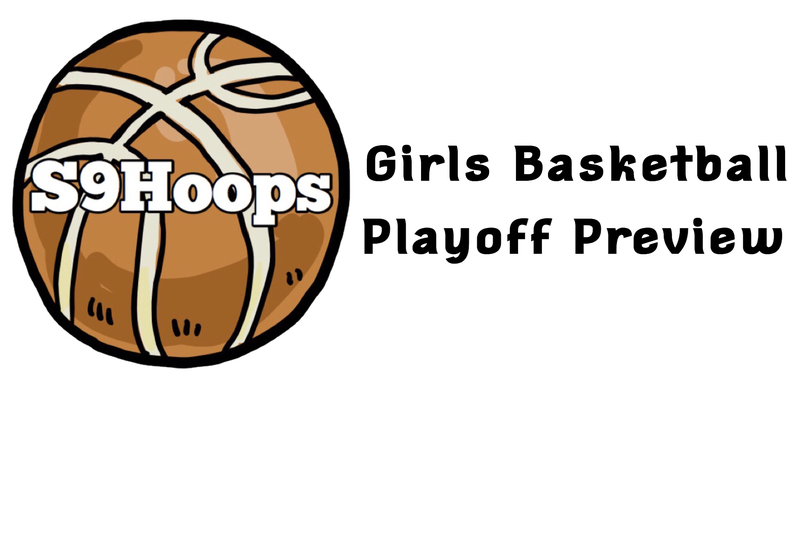 Below is a girls basketball playoff preview filled with favorites, sleeper picks, and more. To look at the full brackets, check out S9Hoops.com/Playoffs. The Crusaders had an interesting season to say the least. They started off 4-0 before surprisingly losing to Newburgh. They won their next seven before dropping three straight to strong teams: Warwick, Arlington & Ossining. They finished the season 14-5, and appear to be fully healthy. I believe they are also the most well-rounded team in Class AA with twins Toni & Taylor Neely controlling the backcourt, and Melissa Alifano & Jamie Waldron standing tall in the frontcourt. They play the winner of No. 6 Kingston & No. 3 Valley Central in the semi-finals. The Lady Wildcats are the only No. 1 seed that I have as the challenger, rather than the favorite. My reasoning for that is the loss of 8th grade guard Paige Giardi, who tore her ACL in January. They’ve lost 3-of-the-last-6 to end the season, but still finished with a 15-4 record. They play the winner of No. 5 Newburgh & No. 4 Washingtonville in the semi-finals. The Vikings are averaging 50.3 points per game. Regardless of their offensive inconsistencies, they’re still one of the top defenses in Section 9, allowing more than 50 points only twice this season. If Valley Central makes their shots, don’t be surprised if they make a Section 9 final appearance. They play Kingston in a Class AA quarterfinal rematch from last season. It’s hard not to be the favorite when you’ve won your division for 17 consecutive seasons. Led by SUNY Cortland bound Maggie Malone, the Dragons finished the season 15-4 and seek their second Class A title in the last three years. The defending Class A champs returned all starters from last years title run, including twin tandem Anna & Grace VanRoy. The Sawyers have the depth necessary to make a run in the playoffs — with four players averaging eight or more points per game. Roosevelt has certainly flown under the radar this season. They dominated Class C powerhouse Millbrook for a 20-point MHAL championship victory. Point guard Kelsea Demelis makes plays on both ends of the floors. Deliah Smith & Jaelen Daubon are microwaves on the perimeter, and Kamryn Hammond is a gritty center that every team needs at this time of the year. They play Red Hook in the quarterfinals. The Spartans are the No. 1 seed after a 13-6 season. Guard Issy Herrera led the team in scoring for the second consecutive season with 14.6 points per game. She is joined by two other teammates who average double-digit point per game totals — Maya-K Johnson (10.2) and seventh-grader Simone Pelish (10.4). The Lady Dukes seek their second consecutive Class B title game appearance. They play Highland in the quarterfinals — a rematch of last years Class B final. On January 4th, they beat the Huskies 76-48. Any time Bri Rozzi is playing for Highland, the Huskies will have a legitimate shot at winning the Class B title. Rozzi, the all-time leading scorer in MHAL history, is averaging 29 points per game a season after winning the Class B title. Never count out a Highland team with Bri on it. Fun fact: This is the highest seed Burke Catholic has had in the last 15 years. The last time they were a top 3 seed (’09), they lost to Highland in the final. The defending NYS Class C title winner Lady Blazers are coming off a disappointing 20-point loss against FDR, but have looked like the most superior Class C team all season-long with a 15-3 record. Erin Fox & Sam McKenna look to lead the Blazers to the NYS Class C title for the second consecutive season. Led by one of the top players in the area, Alexa Roach, the Spartans are sure to give struggle to whoever they play. Fun fact: Before last season’s final, Millbrook & S.S Seward last met in the Class C final in the 2004-05 season. – As playoffs begin, I’ll be covering games on any day that there are games to be played. I’ll be looking to cover more than one game. Ex: Doubleheaders, going from one game to another.. Since there is only one of me, please send me score updates on Twitter – @SeanLynch845 for a retweet.